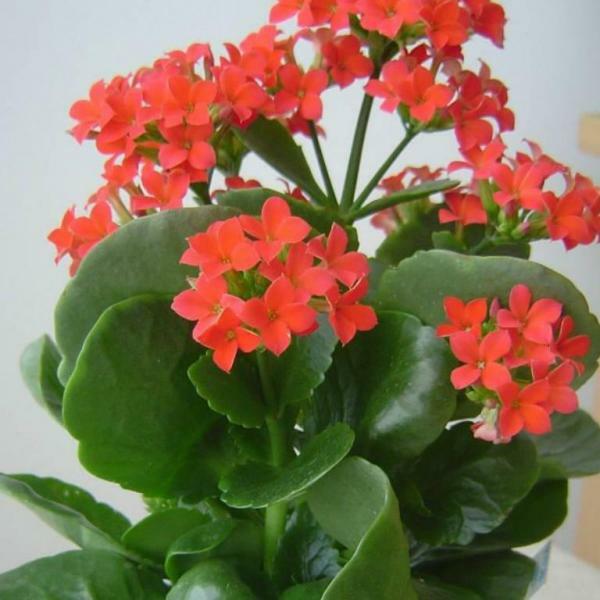 Description: This plant is a summer annual about 1-3' long. It can be erect or sprawl across the ground like a vine. 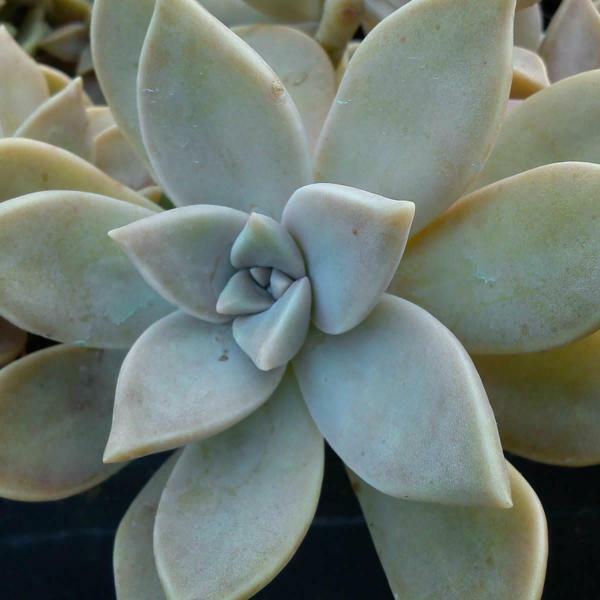 The round stems are smooth and hairless. 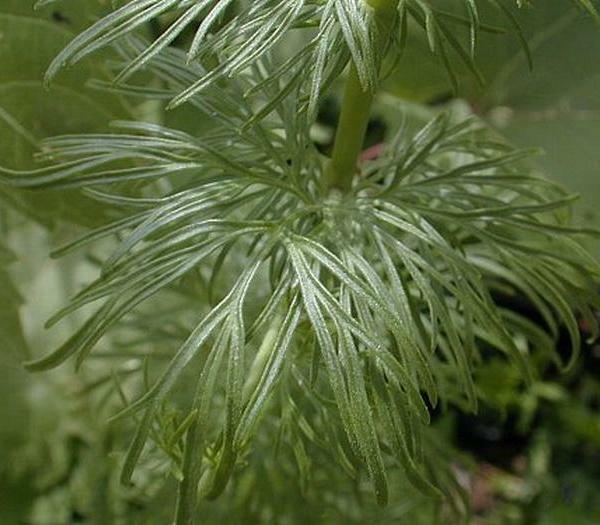 The hairless alternate leaves are up to 5" long and 2" across. 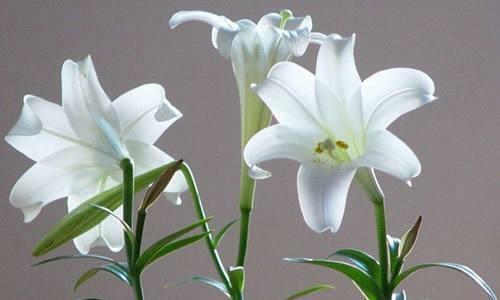 They are ovate, lanceolate-ovate, or slightly cordate. Their margins are smooth and their veins run parallel to each other. 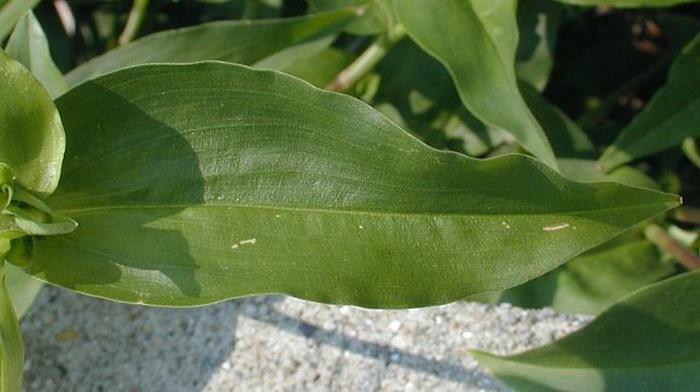 The base of each leaf is sessile or clasping, and it has a membranous sheath that wraps around the stem. 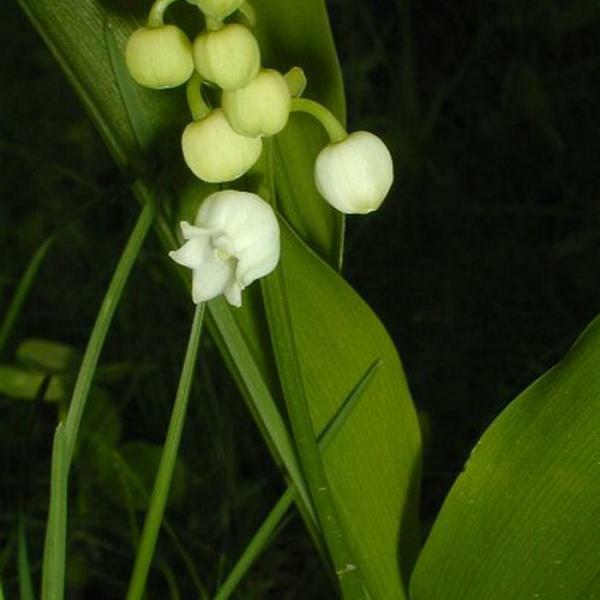 This sheath is about 1" long and has green longitudinal veins, otherwise it is white or greenish white. The upper edge of the sheath is usually hairless, although it has fine upright hairs for an uncommon variety of this species. 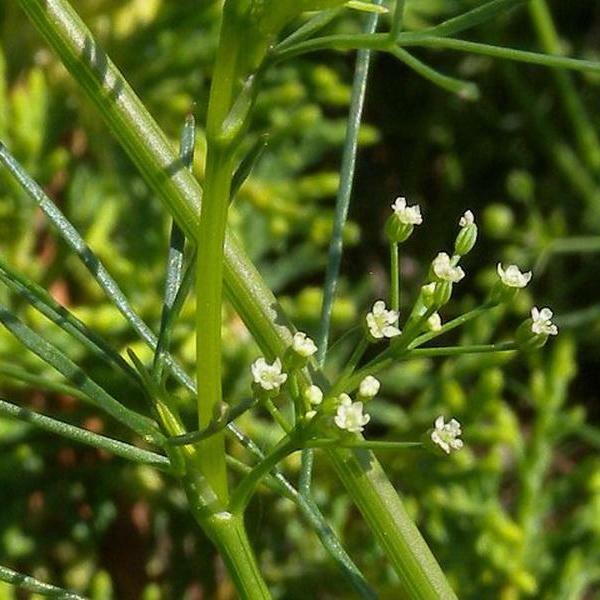 Occasionally, a single flower on a stalk about 1-2" long is produced from the leaf axils. 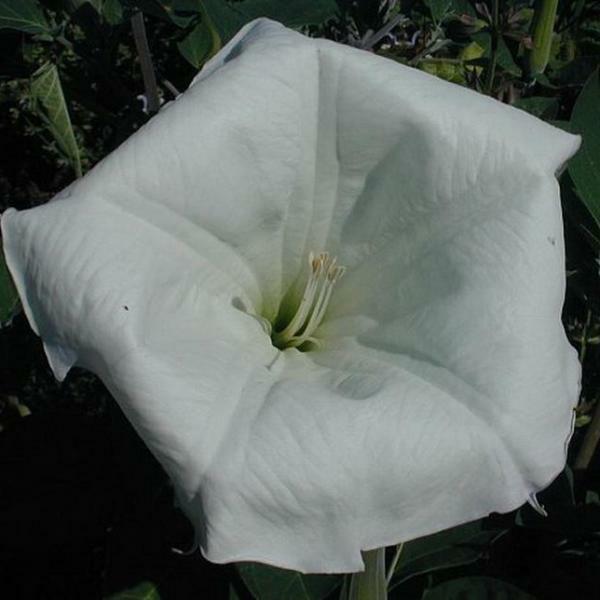 This flower is about ½–1" across, consisting of 2 large blue petals, 1 small white petal, 3 sepals, 5-6 stamens, and a long white style. 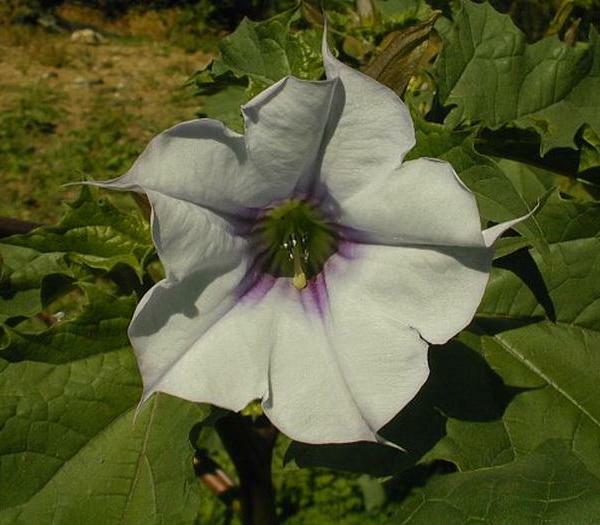 The sepals are usually pale white and translucent. The upper stamens have showy yellow anthers; they are sterile, but help to attract insects to the flower. 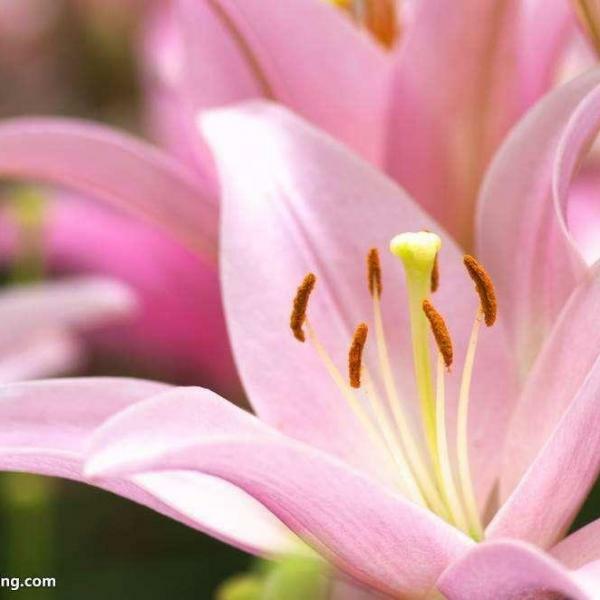 The lower stamens are longer than the upper stamens and fertile, although their anthers are less showy. An upturned spathe that lies underneath the flower is green and about 1-2" long. The upper margins of this spathe are free all the way to the base. 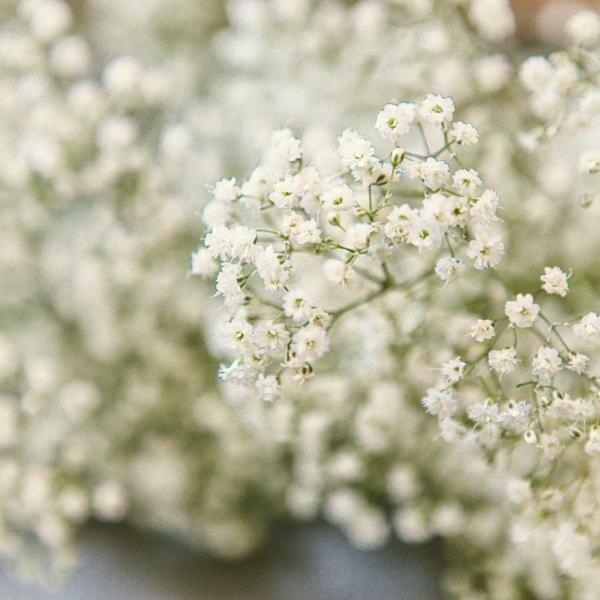 The blooming period occurs from mid-summer to early fall, and lasts about 1-2 months. 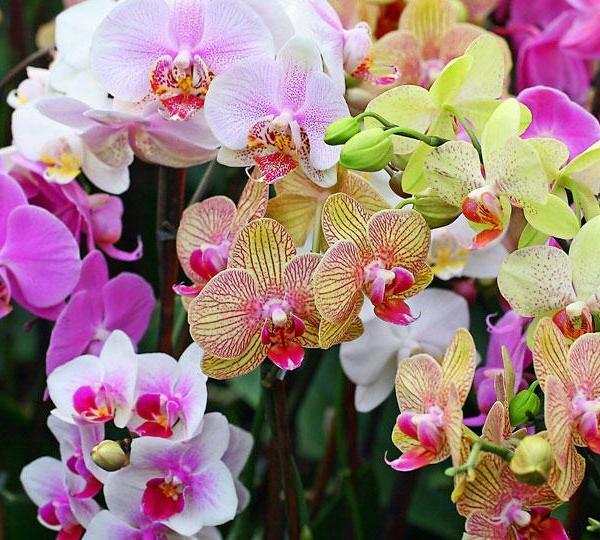 Each flower blooms during the morning for a single day, hence the common name. There is no noticeable floral scent. 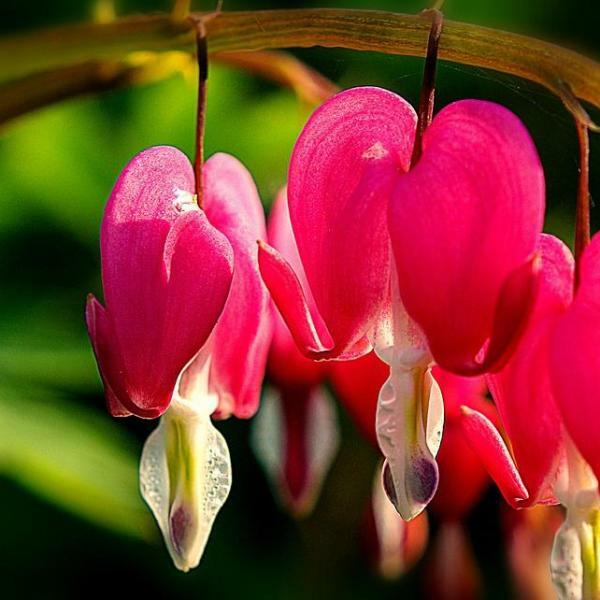 Each flower is replaced by a seed capsule that has 2 cells, each cell containing 2 seeds. These seeds are dark brown or black and have a surface that is bumpy and rough (rugose). The root system is fibrous. 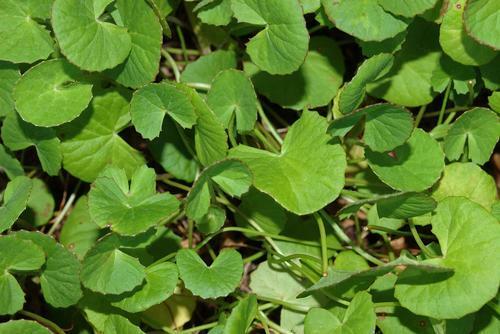 This plant can root at the leaf nodes on moist ground, forming new plants vegetatively. 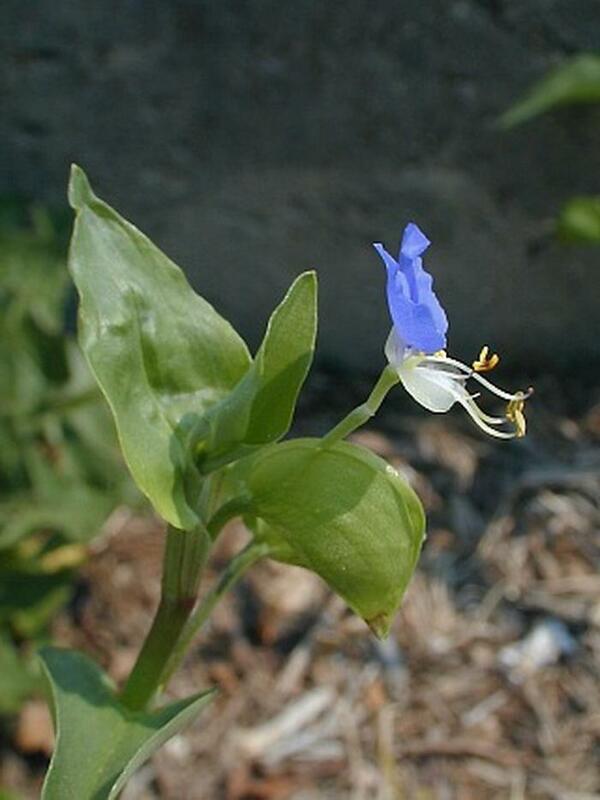 At favorable sites, the Asiatic Dayflower forms colonies that can exclude other species of plants. 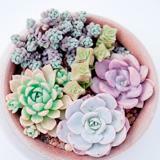 Cultivation: Partial sun, moist to mesic conditions, and a fertile soil that is loamy or slightly sandy are preferred. 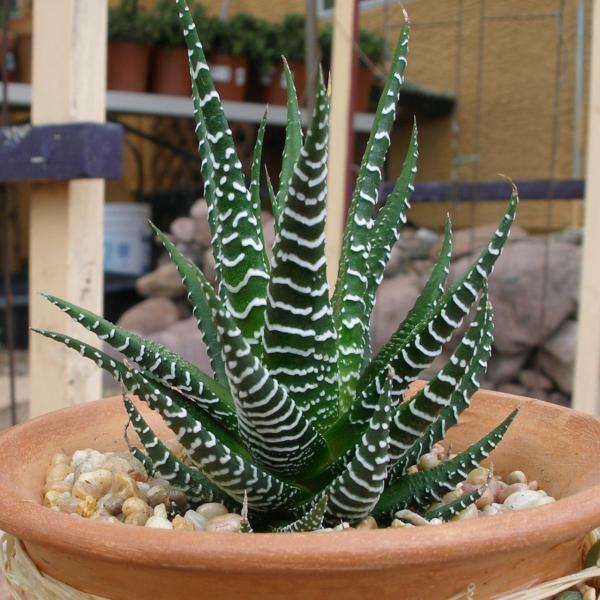 This plant also tolerates full sun and light shade. Occasionally, it can spread aggressively and become a pest. 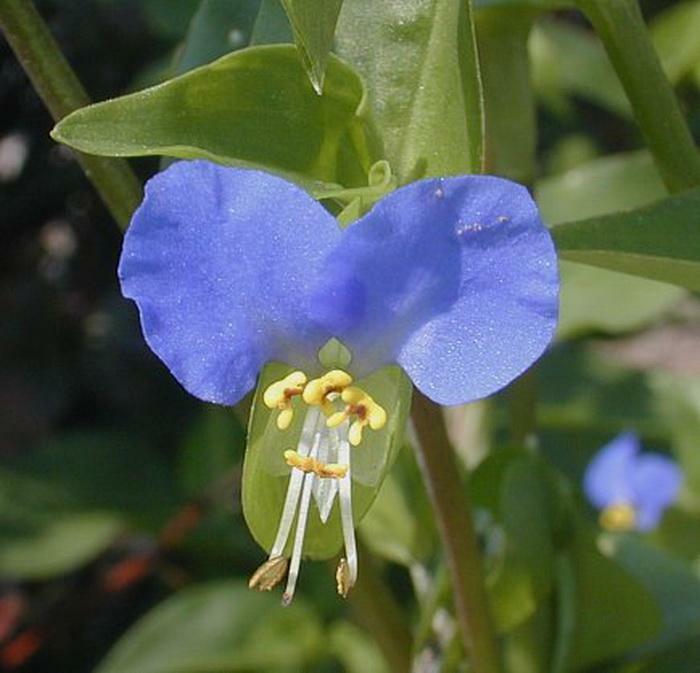 Range & Habitat: The Asiatic Dayflower is a common plant that occurs in most counties of Illinois (see Distribution Map). It appears to be spreading into all areas of the state. Habitats include edges of floodplain forests, thickets, edges of gardens and yards, areas along buildings, fence rows, vacant lots, and waste areas. 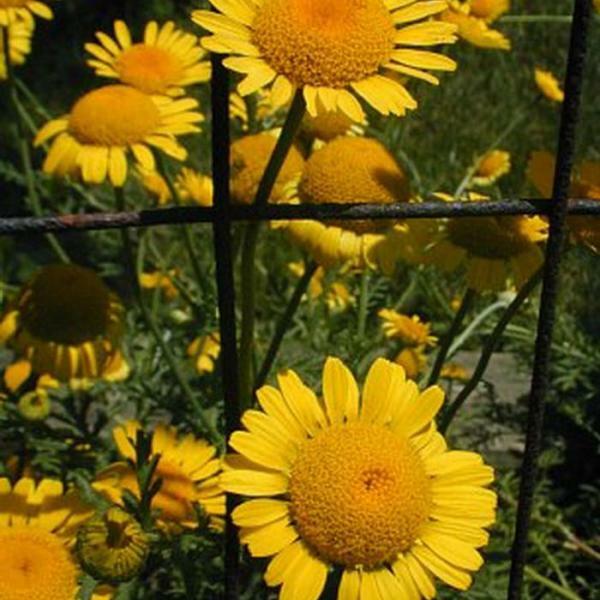 This plant prefers disturbed areas, although it occasionally invades natural areas. 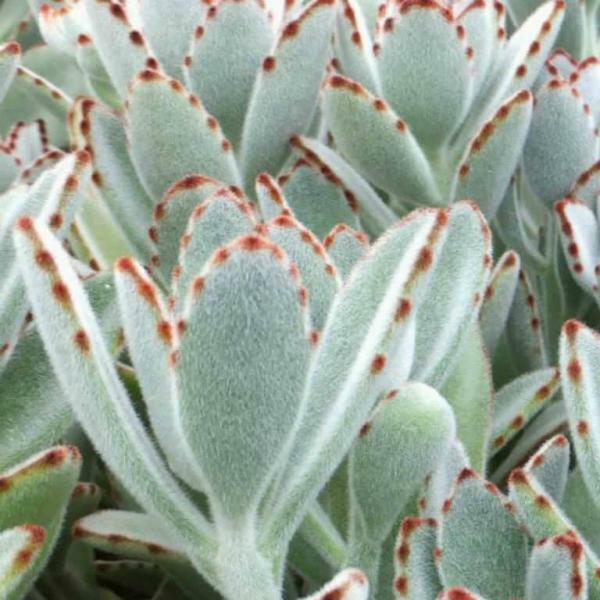 As the common name implies, it was introduced into the United States from East Asia, probably for horticultural purposes. Faunal Associations: Primarily bees pollinate the flowers. The foliage is eaten by Neolema sexpunctata (Six-Spotted Beetle). Occasionally, the seeds are eaten by upland gamebirds and songbirds, including the Mourning Dove, Bobwhite, and Redwing Blackbird. 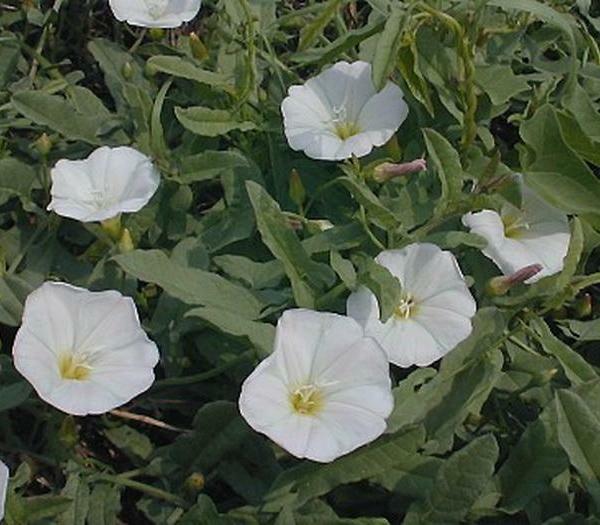 The foliage of Dayflowers is a preferred food source of the White-Tailed Deer. Photographic Location: A small colony of Asiatic Dayflower was flourishing between the shrubbery of a commercial bank and a city sidewalk in Urbana, Illinois. Comments: The flowers of this species have a "true blue" color that is found in few other plants. Usually, most "blue" flowers are closer to violet or purple. 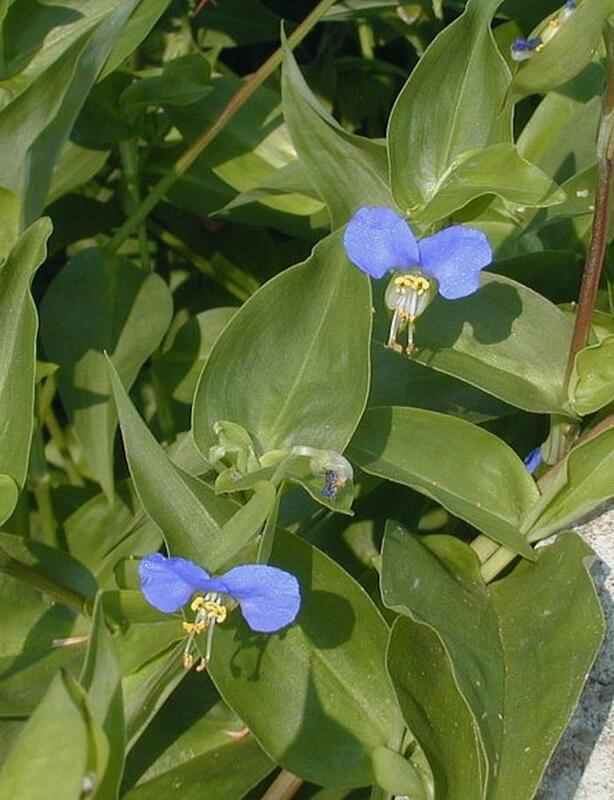 The Asiatic Dayflower has become the most common Commelina sp. (Dayflower) in Illinois for reasons that are not entirely clear. 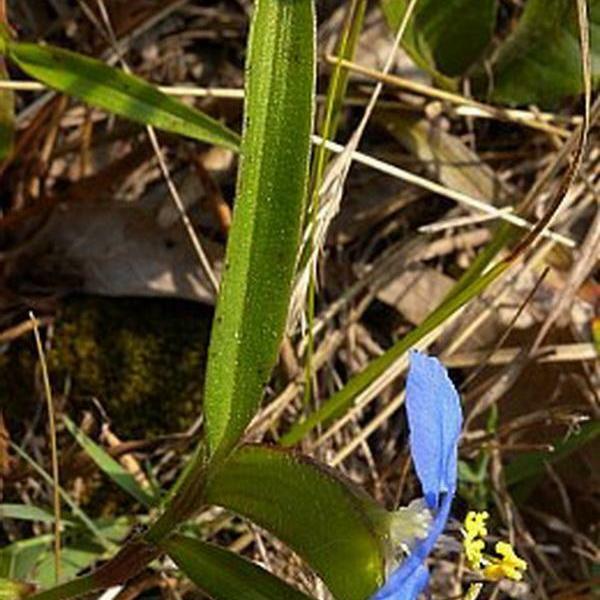 Like the native Commelina erecta (Erect Dayflower), its flowers have a small lower petal that is white, whereas the flowers of other Commelina spp. 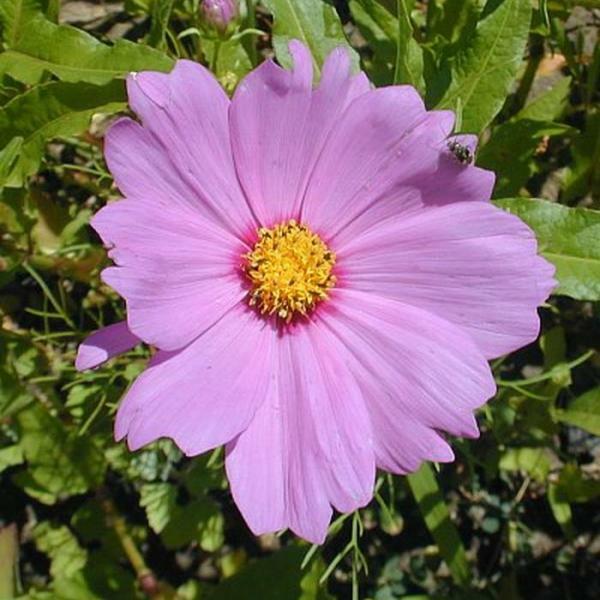 within the state have a lower petal that is blue or violet. The Erect Dayflower differs from the Asiatic Dayflower in a number of characteristics, including the following: 1) It has more narrow leaves than the latter; 2) The upper margins of each upturned spathe are united together about 1/3 the length of the spathe from the base, rather than running free from each other; 3) Each seed capsule has 3 cells containing 1 seed each, rather than 2 cells containing 2 seeds each; 4) It is a more erect plant than the latter; and 5) Its seeds are lighter-colored with a smooth surface, rather than dark and rugose.